This album is one of those that has stuck with me over the years, even thou the herself artist didn’t. That’s not usual in that many artists have one great album or perhaps a few great songs in them or have managed to accumulate a few great songs from other sources. After that they struggle to find material. For instance I always regarded the debut albums of Clint Black, Randy Travis and Charley Pride as being their best albums (of course these three went on to much further success). Others have been but a flash in the pan. Jo Dee falls somewhere between long term super star and flash in the pan. Thus was not her most successful album (subsequent albums received more promotional push from Curb), but song for song, I think it is her strongest album. The album opens with Jo Dee’s second single, “You’re Not In Kansas Anymore”, a Zack Turner – Tim Nichols composition which reached #7. A mid-tempo ballad and a bit of a cautionary tale, well sung. He said he dreamed about L.A.
Next up is “On A Wing and A Prayer”, written by Walt Aldridge and Jo Dee about a relationship that is unraveling. This tune is another mid-tempo ballad. “He’d Never Seen Julie Cry’ comes from redoubtable songsmiths Leslie Satcher and Max T Barnes. THis song is about a relationship untended too long, a slow ballad that was the fourth single from the album, reaching #64. “Do You Wanna Make Something of It” comes from the pens of Terry Anderson and Bob DiPiero. This is both the first track on the album in which the steel guitar prominently figures into the mix and the first up-tempo song on the album. This song was released as the third single on the album and only reached #53, which at the time stunned me as I thought it had top ten written all over it. It did reach #29 on the Canadian country charts. This may be Jo Dee’s best vocal performance on the album. Oh, do you feel the same, maybe just a little spark? That’s a burnin’ like a ragin’ fire out of control? “Let It Go” by Jamie Kyle, Ron Bloom, and Will Rambeaux, is a mid-tempo philosophical ballad ballad about moving on after the end of a relationship. Not bad but nothing special. “Heads Carolina, Tails California”, a Tim Nichols – Mark D. Sanders was Jo Dee’s debut single and for my money, her best song. The song went to #1 at radio stations throughout the mid-Atlantic area and reached #2 on Billboard’s national country chart, #3 on the Canadian country chart and also hit Billboard’s all-genre Hot 200 at #111. The song is an up-tempo semi-rocker in which the narrator just wants to get out of town and head somewhere else – anywhere will do as long as her lover comes with her. I’ve got people in Boston, ain’t your daddy still in Des Moines ? “I Didn’t Have to Leave You” is a slow ballad written by Jill Wood about a woman trying to fight off the efforts of her lover’s ex to try to win him back. The song is very strong and would have made a good single. “Every Little Girl’s Dream”, written by Dave Loggins and Kenny Mims is a nice medium-fast song, a little too superficial but a nice album track. At the time I purchased this album in February 1996, I found myself hoping against hope that she would not give in to pressures to make her sound less country. The electric guitars on this album are more rock than country guitars but they are subdued. 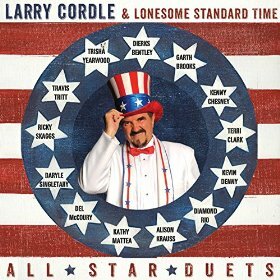 The steel guitar and dobro of Sonny Garrish and fiddle of Glen Duncan are appropriately spotlighted. Jo Dee would go on to have some #1 singles and more successful chart albums but this remains my favorite. 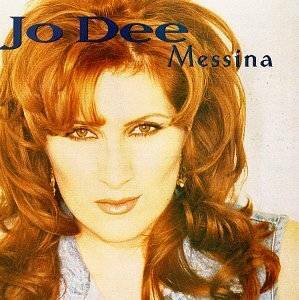 I have heard all of Jo Dee’s albums, but other than her Greatest Hits album released in 2003, this would be the last Jo Dee Messina album I would purchase (someone gave me Delicious Surprise for Christmas in 2005 because they remembered I had like Joe Diffie’s “My Give A Damn’s Busted” on his 2001 album In Another World). The songs, vocal performance and production combine to make this album a very solid A.
I wasn’t terribly impressed with Kellie Pickler when she first arrived on the scene and quickly wrote her off as a marginal talent without a lot of staying power. I was forced to reassess my opinion of her with the release of last year’s surprisingly good 100 Proof, which found her eschewing the trappings of contemporary country in favor of a more traditional sound. Predictably, 100 Proof’s singles received little support from radio and the album sold poorly. Pickler’s contract with BNA Records was terminated shortly thereafter, and I figured that the artistic growth she showed on 100 Proof was just a one-off. But once again Pickler proved me wrong. She signed with Black River Entertainment last fall, and The Woman I Am, her first album for the indie imprint, was released just this month. Like 100 Proof, The Woman I Am was produced by Frank Liddell and Luke Wooten. Unlike 100 Proof, it is aimed squarely at a mainstream audience, serving notice that though Kellie may no longer be a major label artist, she still has her eye on the charts. I’ve made no secret of the fact that I consider most of today’s mainstream releases unlistenable, but I was pleasantly surprised at how much I enjoyed this album. It has a couple of weak songs and some questionable production choices at times, but from beginning to end it maintains a semblance to actual country music and never dissolves into the lackluster Lite-FM sound that mars so much of today’s country music. Two singles have been released so far. “Someone Somewhere Tonight” is a decent ballad that I probably would have liked a lot more if I’d never heard Pam Tillis’ version. The uptempo “Little Bit Gypsy” is Kellie’s current single. I quite enjoyed this one, despite the slightly cluttered nature of the production towards the end. Sadly, neither single has garnered much attention from radio. I don’t know how aggressively Black River will continue to promote this project, but there are several other worthy contenders for future single release. Hell hath no fury like a woman scorned, and Pickler is no exception as she opts to hock her engagement ring rather than return it to her two-timing ex-fiance in “Ring For Sale”, which was written by Jim Beavers and Chris Stapleton. “Bonnie and Clyde”, on which Kellie shares a co-writing credit with Kyle Jacobs and Liz Rose, is also quite good, despite a somewhat heavy-handed “Indian Outlaw” like arrangement. It is the ballads, however, on which Pickler truly shines, particularly on the lovely title track, which she also co-wrote, and “Tough All Over”, a Gary Nicholson and Leslie Satcher composition and not the 1990 Shelby Lynne song of the same name. “Buzzin'” is pleasant but lyrically shallow, and “No Cure For Crazy” quickly disintegrates into a too loud and too cluttered sonic mess. The Woman I Am isn’t an outstanding album, but it is a very good one that proves that 100 Proof wasn’t just a fluke and that there is more substance to Kellie Pickler than one might have guessed based upon her first two albums and the dumb blonde shtick she engaged in at the time. The Woman I Am deserves a listen, even if like me, you weren’t a huge fan of Kellie’s early efforts. One of the longest raging debates in the career of Martina McBride is the point in which her music took that pivotal turn from excellent to uninspired dreck. To an extent, it happened with Emotion, but I would argue the last truly great original music McBride has recorded came in the form of the four new tracks included on her Greatest Hits album. In 2001 RCA saw fit to take stock of McBride’s career to date, releasing her first comprehensive career retrospective. The release came one week following the 9/11 terrorist attacks and in an eerie parallel, McBride is seen wearing an American Flag tank top on the cover. McBride has stated that the cover wasn’t in response to the attacks (which would’ve been impossible given the CD and cover art were planned long before the release) but rather homage to her signature tune “Independence Day”. For longtime fans the most intriguing aspect of the project wasn’t the music itself but the CD booklet, which featured ample liner notes from McBride and her producer Paul Worley discussing each track. It was great to read the stories behind the songs and gain insight into their thought processes. It’s kind of a shame most artists don’t take the time to do this, as the deeper level of appreciation I gained for McBride is invaluable. Although the project itself is fairly typical, it only includes her top ten hits; the generous 18 tracks covering 69 minutes make it my favorite Greatest Hits album of all-time. And although it omits The Time Has Come and singles like “Cry On The Shoulder Of The Road,” it’s an excellent comprehensive overview of McBride’s career to date. The new tracks show an artist experiencing an artistic uptick. All four, vastly different from one another, perfectly illustrate the different sides of McBride’s musical personality while concurrently displaying her measured growth as an artist. “When God-Fearin’ Women Get The Blues,” penned by Leslie Satcher, was the lead single peaking at #8 in late summer 2001. A rocking story song, the track proved a departure for McBride both thematically and musically – with a mix of dobro and fiddles (as well as The Soggy Bottom Boys from O Brother, Where Art Thou? providing backing vocals), it was the most traditional-leaning track she’d recorded in more than four years. “Blessed,” a somewhat self-indulgent optimistic prophecy came next, topping the charts in early 2002. Her last #1 to date, the Brett James, Hillary Lindsey, and Troy Vergas penned tune is far more pop than its predecessor, but she sings it well and I really like the vibe of contentment, a mirror of her personal life. Unfortunately the track sounded better back then. The addition of the drum machine feels very dated more than ten years later. Far more consistent was the excellent third single, Rick Ferrell and Rachel Proctor’s “Where Would You Be.” By far the strongest of her relationship-turned-sour songs, McBride has never sounded better on record, turning the chorus into a rousing tour-de-force. The track peaked at a respectable #3, but fully deserved to follow “Blessed” to the top of the charts. McBride hit another high note with Stephanie Bentley and Rob Crosby’s heartbreaking child-negligent tale “Concrete Angel.” Even with the grim subject matter, I’ve always loved the song – it was easily one of the strongest story songs at country radio in the fall of 2002. Bentley and Crosby execute every detail perfectly, from the teacher who ignores the signs to the night she’s killed at the hands of her mother. You feel for the little girl who slipped through the cracks, and it kind of makes you look at your life differently. Next to “Where Would You Be” this is my favorite of the four singles. Sadly, I had very high expectations that McBride was destined to follow in Kenny Chesney’s footsteps and become huge with her albums to come. I thought this would mark the beginning of a McBride routinely nominated for Album of the Year trophies and selling out large concert tours. I wasn’t prepared for the reality of what did transpire, album after album of dreck (the next one had singles that were far lesser retreads of “Where Would You Be” (“How Far”) and “Concrete Angel” (“God’s Will”) that just didn’t measure up, but at least we have moments like these to remember when she was one of the best contemporary songstresses around.